This is the first of a new franchise of Paranoia Games, starting with The Hotel. In 1967, a hotel located in Northumberland, England, was abandoned. The owner of the hotel stated that he put up religious artefacts to keep the bad spirits away. The reason for the abandonment has remained unknown… until now. The game will be based around the surroundings, sounds, and how illusions can change the way a game will carry out. Don't worry, we will not fill the game with pointless jump-scares, but rather let you get immersed in the games atmosphere. We hope you will support us in the making of this game, and continue to keep updated on this Moddb page, and our website 'www.orionindustries.webs.com'. 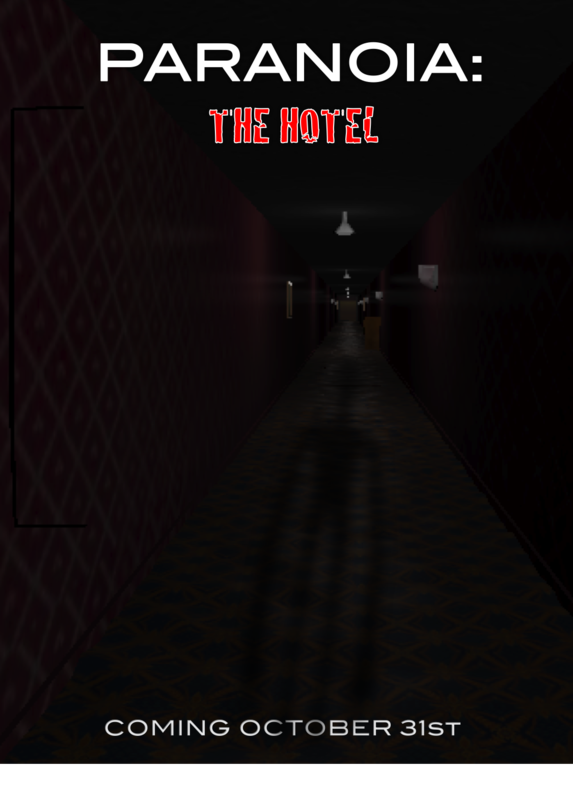 Reconstruction on the game has begun on 'Paranoia: The Hotel', the reason it was cancelled was that while porting to a new engine the contents became outdated and crashed the system. The concept of 'Paranoia: The Hotel' will remain the same, but with a brand new graphics engine we can achieve more than before. Gameplay will be much more smooth (which means less frustration = more time to be captivated in the atmosphere, so more scares), glitches will be easier to avoid, it will be usable on multiple operating systems on release. Thank you for understanding, news on 'Paranoia: The Hotel' will start flooding in once again. When will it be released? What platforms and why?. Some news on a delay on 'Paranoia The Hotel' and the upcoming demo. These are the reasons that we havnt been updating the news lately? News about the soon to be released demo and benefits of purchasing Paranoia: The Hotel when released next month. when will i get to play this game? As stated before Paranoia was cancelled due to problems with the old engine converting to the new one. We will be making a new Paranoia, after the main jobs are done with Xeno. Can't wait to play it, is it gonna be free or pay? I want to scare the **** out of my friends and co-workers. Will this do the trick? We are having a few problems with making the .exe files for a PC. We will bring out some news soon about the Beta. Is there a release soon or does is take more time? We may just not release the beta and just focus on finishing the full game.